In this digital era, the last thing one would want to do is to perform a task manually and spend efforts and time in it. The same goes with online transactions, which are supposed to be fast, secure and effortless. To keep up with that very trend and provide our partners a hassle-free experience, Imbibe recently added a new feature to Mart that enables automatic settlements to stores. It allows swift and secure money transfer to stores after automatic payment adjustments. Stores can track/review the payment summary via the ‘Passbook’ module present at the top left corner of the screen as soon as they reach the Mart Dashboard. Moreover, stores can view the order statements using the ‘Statement’ button under the Tools option on the Dashboard. It provides order summary – type of payment, credit and debit information, date of processing etc. 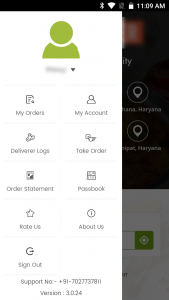 The ‘View Order’ button displays information like store address, delivery address, item details, order amount etc. It also allows options like ‘Print Order’, ‘Map Directions’, ‘Site Support’ etc. Stores also have the option to view their order statements via the ‘Statement’ option under the ‘Tools’ section. This feature allows the stores to view information like order time, payment method, delivery charges, platform commission, net amount etc. The Passbook feature is also available on the Mart mobile application, where you can just swipe left on the home screen to access your ‘Passbook’. At Imbibe, we always strive to provide our partners the best user experience and services by constantly evolving and improving our products and services and will continue to do so. To know more about Mart and its features, please get in touch with us here.